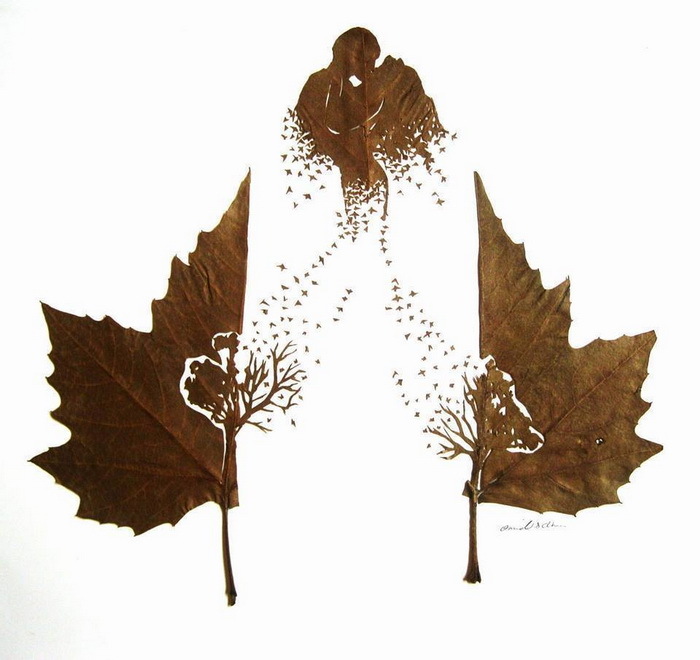 Share the post "Stunning Artwork Made Of Fallen Leaves"
This delicate pieces of artwork are made using nothing but fallen leaves. Sometimes, we take things for granted and then there is someone with a unique perspective on things who make us notice the beauty we might have been missing. 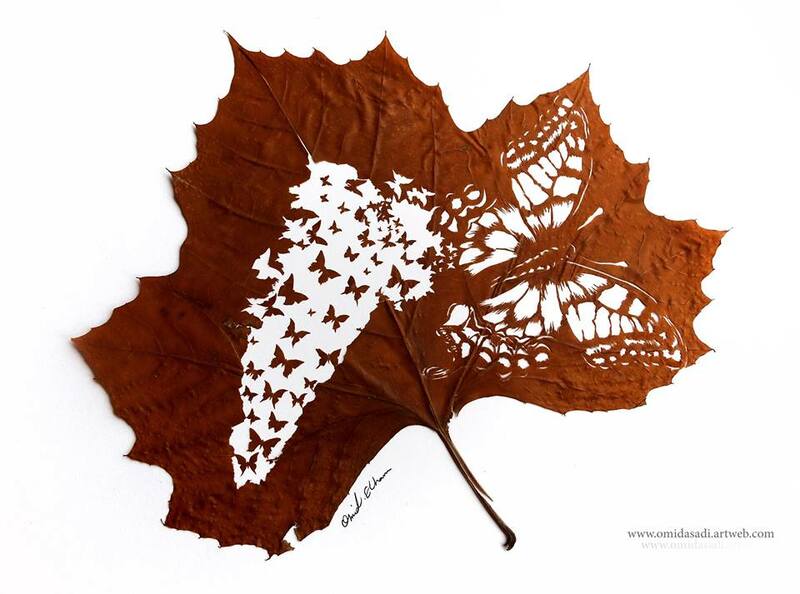 One day, the artist Omid Asadi realized that fallen autumn leaves were truly beautiful and fascinating, so he decided to make people notice these fragile pieces of nature. 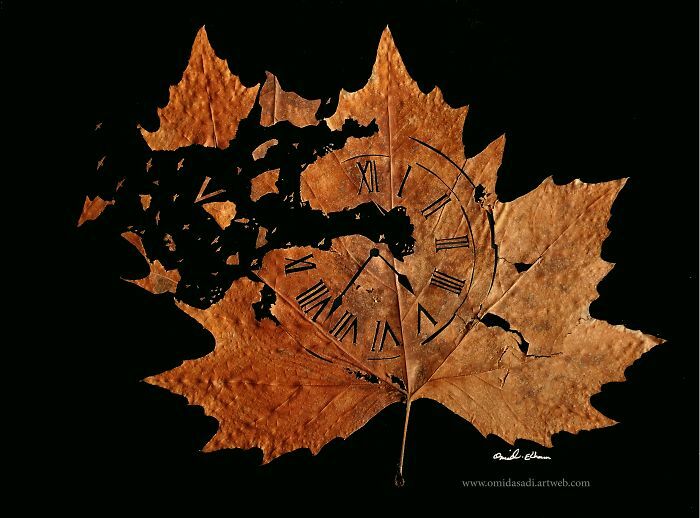 Working with his wife, who encouraged his creativity and who is skilled in the art of Persian miniature painting, Omid Asadi began to develop a way to turn fallen leaves into artistic treasure. Turning natural objects into art helps us see them in a new way. Instead of just look at them as leaves, we can appreciate their colors, shapes, and textures when their context is changed. 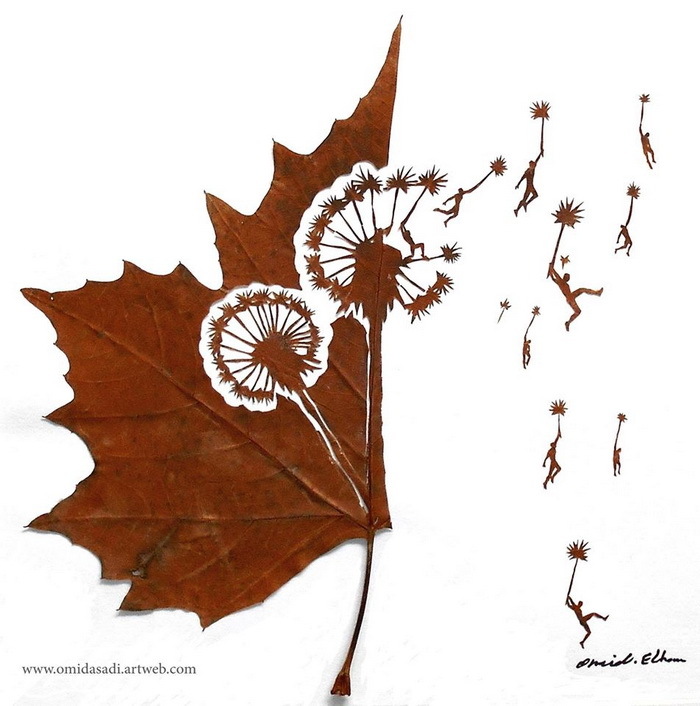 Omid carves leaves completely by hand, using an X-Acto knife and a delicate touch. After that most of the carvings are affixed to paper with wood glue before being mounted and framed. 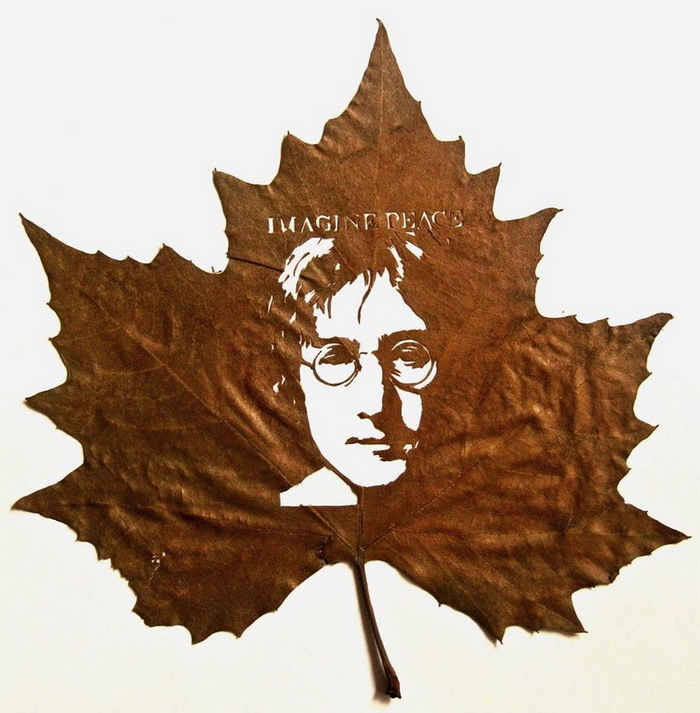 The artist says he used to use a needle to carve tiny pictures on leaves and flower petals when he was a child in Iran. But as he grew older, he gorgot about this. Only later, after he had moved to England, that inspiration struck him again. The whole creative process includes collecting, drying, pressing and only then, carving the leaves. A single leaf can take up to two months to complete. The work is quite precise, delicate, and labor-intensive. You really need to have steady hands to do it! One slip-up, and the leaf would have to be destroyed. 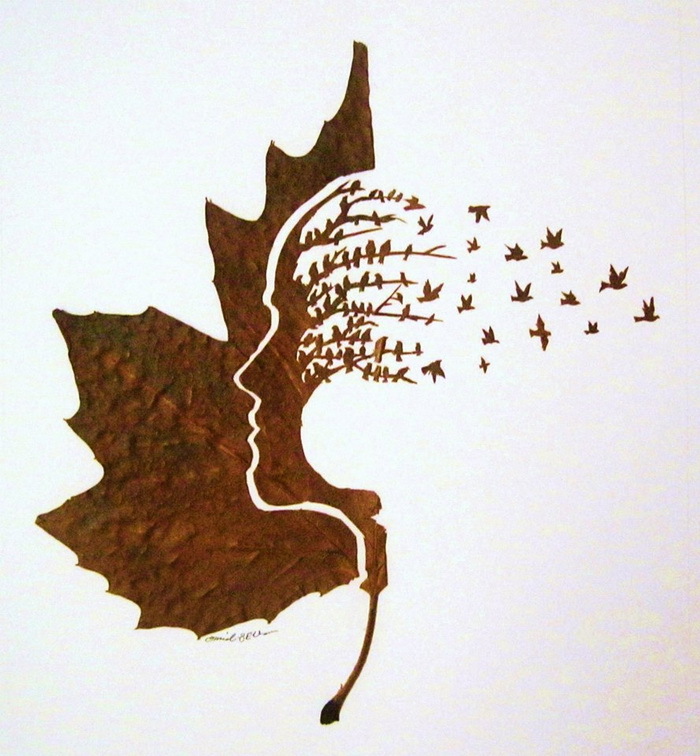 So far, Omid has created many amazing carved leaves, and has gained attention from all over the world. 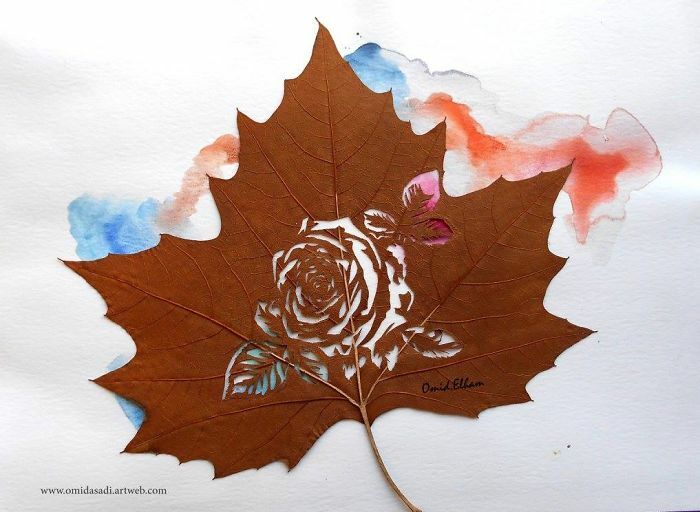 Take a look at some of Omid’s artwork below, and you might start seeing leaves a little differently! See more on the artist’s FB page or on omidasadi.artweb.com. If you know someone who likes amazing art, share this article with them, using share buttons above or below the article!